My kind sister and brother in law bought me a £20 Amazon gift voucher at Christmas which I was going to spend on something boring for the house but after a bout of indecision and procrastination I used the voucher in complete haste and bought a watch carry case for £11.30 I didn't really look closely at the item when I bought and thought it held 3 watches but it actually carries 8 which is a bonus. I normally wear a watch for a week or two and change it for something random that I've not worn for a while. 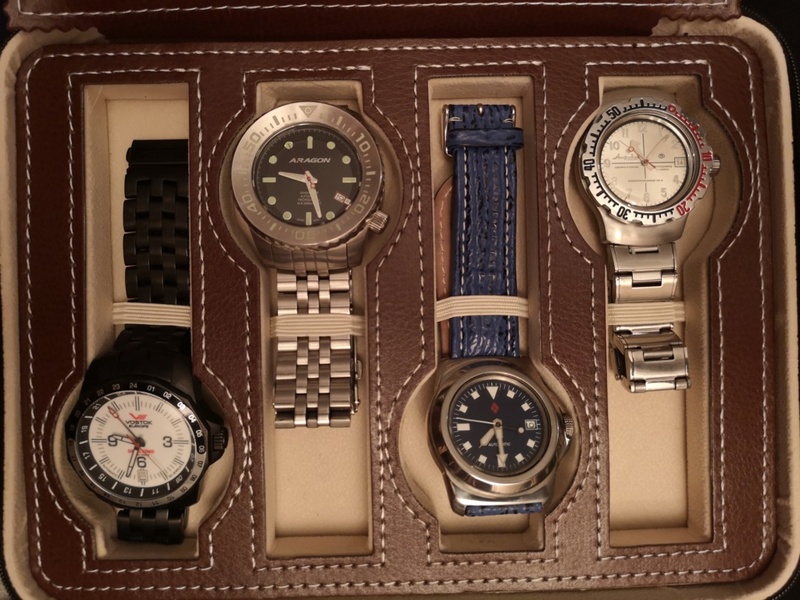 Now I have a case I decided to select 9 watches which I'll wear regularly for a bit. If you're wondering why 9, it's because I'll have one on my wrist too. Impressive collection you have some really great watches in there. The watch case is very smart and an absolute bargain at £11.30 , me thinks a trip to Amazon may be on the cards for me . 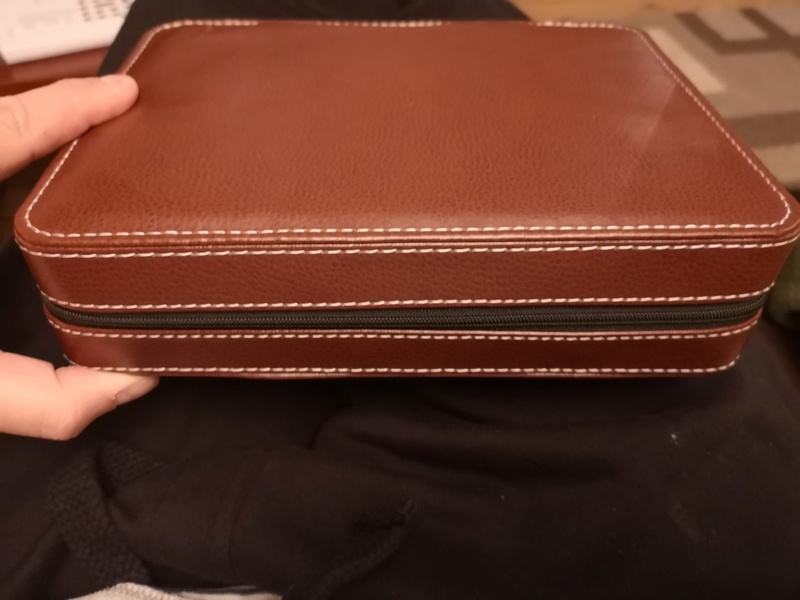 Well done as well for having so many lovely watches to put in it. Thanks for the nice comments about the watches. I think Domecurb and Seiko John's influence has rubbed off on me! The case itself is better than expected for the price. Appearance wise it looks fine, probably not my ideal colour but to handle the product, if feels relatively well made. For the cost, I'm sure if I was spending bucks the finish might be better, faux leather might be real leather and the stitching might stand up better to closer examination but I'm happy with the product for the price. The only bit I'm going to keep an eye on is the zip because that doesn't feel too strong. @Elwood wrote: Thanks for the nice comments about the watches. I think Domecurb and Seiko John's influence has rubbed off on me! The case itself is better than expected for the price. Appearance wise it looks fine, probably not my ideal colour but to handle the product, if feels relatively well made. For the cost, I'm sure if I was spending bucks the finish might be better, faux leather might be real leather and the stitching might stand up better to closer examination but I'm happy with the product for the price. The only bit I'm going to keep an eye on is the zip because that doesn't feel too strong. Don’t worry Seikojohn, I definitely think any responsibility here is split equally between you and domecurb. No John, you're definitely 50% to blame! Must admit I quite fancy that Citizen Moon phase watch Bruce had got. 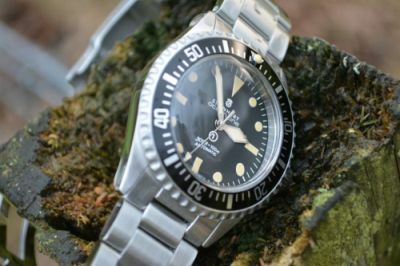 Maybe I'll get one after the I've bought all the other watches I fancy after being on this forum, ie Phoibus, Tauchmeister, Victorinox, Invicta, Deep Blue, Rolex Explorer, Omegas, Aragon to name a few. What have you lot got me into! If only I had the funds....That reminds me, must put the family for sale on ebay! @Elwood wrote: No John, you're definitely 50% to blame! Must admit I quite fancy that Citizen Moon phase watch Bruce had got. 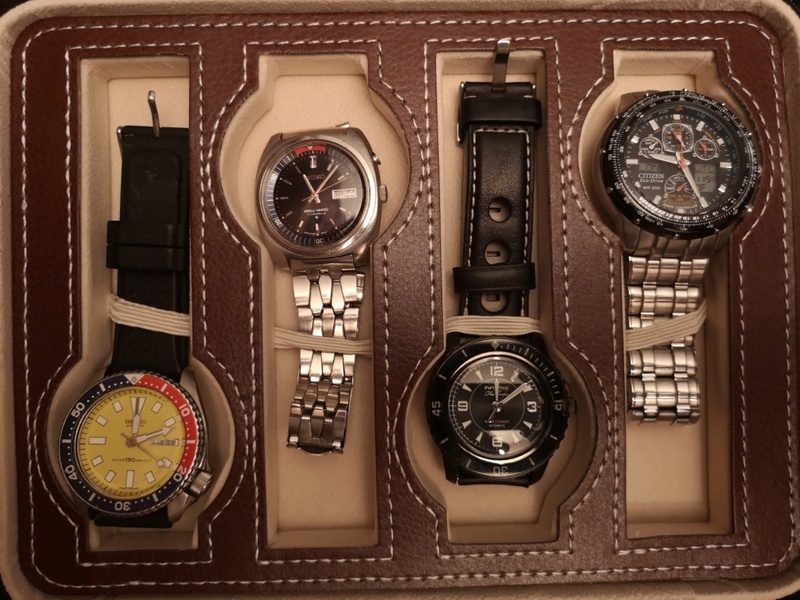 Maybe I'll get one after the I've bought all the other watches I fancy after being on this forum, ie Phoibus, Tauchmeister, Victorinox, Invicta, Deep Blue, Rolex Explorer, Omegas, Aragon to name a few. What have you lot got me into! If only I had the funds....That reminds me, must put the family for sale on ebay! @Elwood wrote: No John, you're definitely 50% to blame! Class watch John. Citizens don't get the credit they deserve. I regularly leave eco drive in a draw months at a time and it's always fine, sturdy watches.